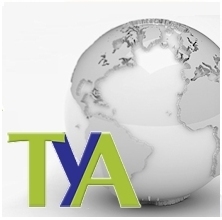 Tom Yaegel Associates has been developing and providing marketing services for service and manufacturing organizations since 1984. The firm provides a full range of marketing and advertising services including creative design, corporate identity, product packaging and branding, media placement, public relations, and web site development. Tom Yaegel has over thirty-five years of banking, real estate, and service industry experience. His client work has received numerous awards from the Bank Marketing Association and the Financial Institutions Marketing Association. He is a participating author of the book Relationship Marketing: Process, Performance, and Profit. He has been a frequent speaker for professional organizations and his work has been published in numerous professional publications. He is a graduate of St. Joseph's University in Philadelphia and holds an MBA degree from Temple University. Bob Donovan, Webmaster - has over 10 years experience developing & implementing creative, content driven websites that are seen throughout our website. Colleen Swift, Creative Writer - With 15 years experience in the technology, pharmaceutical, retail, banking, recreation and industrial arenas, large and small, Colleen crafts solid, persuasive copy that gets results. From the quick hit to the whole story, she has the skills to provide you with the right messaging for your organization’s needs. Terri McKendry, Administrative Manager - Possesses many years of financial and marketing industry experience. Holds an MBA from Lasalle University, Philadelphia, PA.